Back in 2011, I made two versions of the Miz Mozelle pattern - one a totally unwearable toile (but I think this may still be my favourite version, as I love plain fabrics) and one from Liberty stretch silk satin. 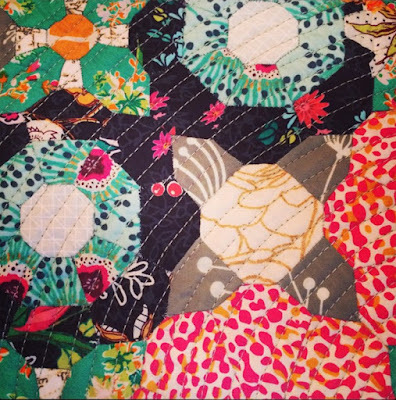 I've been meaning to revisit this pattern ever since, but time flies and suddenly four years have passed by. 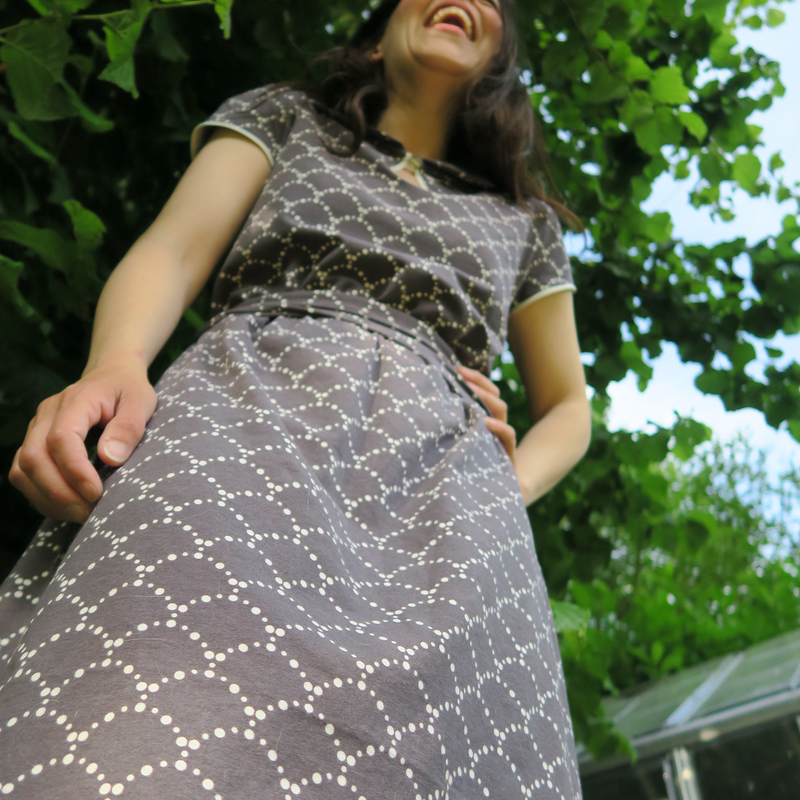 As evidence of this time-flying point, another whole week slipped by after I'd finally finished making this third dress, while it sat waiting for me to make the belt to go with it - a ten minute task that I struggled to fit in. 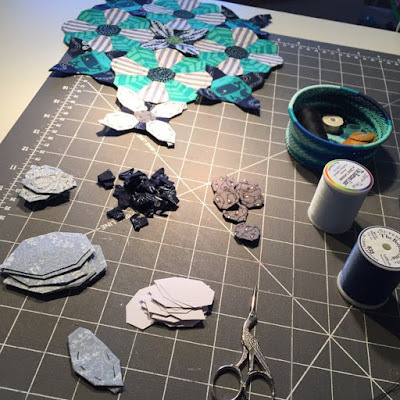 It's often this way with sewing - whether it's binding a quilt or hemming a dress, the bulk of the sewing seems to be something that one can power through, only to be left feeling overwhelmed by the final stitches. Anyway, it's finished now and the hurdle of the belt has been jumped not once, but twice. For after making the belt, I decided that it needed shortening the next day. I made a few changes this time around - one of them being that I added a few inches to the length as I am not a big fan of my knees and know that I'll wear it more if it's this length, the second was to massively reduce the side seams on the bodice section of the dress. When I tried this on, mid-make, and asked my husband what he thought, he suggested that it was 'billowing' at the sides on the upper portion of the dress. This is the style of the dress and personally I quite like it, but I decided to take in the sides using basting stitches to trial his suggestion and I did quite like the effect, so decided to go with it for this version. You can see the photos below of my various Miz Mozelle's for billow-comparison purposes - this version is a lot more fitted across the bust. I used an Art Gallery Fabrics jersey that I bought months and months ago for this latest dress. 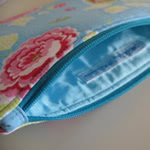 It's lovely - very soft, nice to sew with and a colour and print that feels really wearable. I like that it's clamshells, but that the overall effect is one of confetti or blossom. 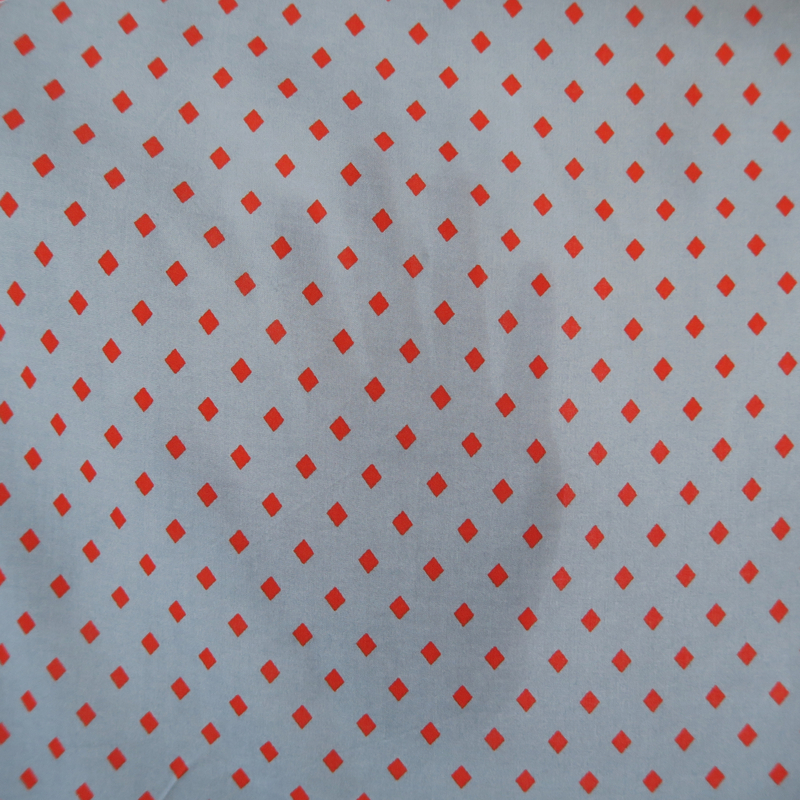 Or something else that feels quite light, happy and speckled. But I think I still love wearing unpatterned fabrics best. 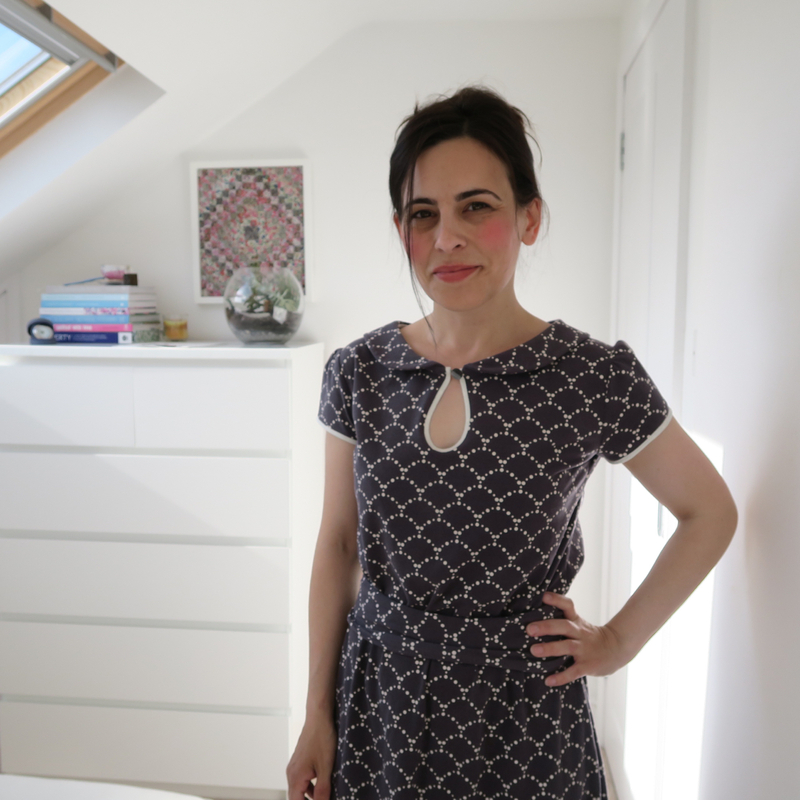 I've found this dress varies from fabric to fabric: while I'd found the keyhole on my blue version far too big and bra-revealing, on this version, after I had perfectly bound and buttoned the keyhole, I then unpicked it all and made it bigger as it looked rather prim. I was able to cut it to the size the pattern dictated and somehow my bra is not revealed. I think the blue jersey was definitely something of a super-drape fabric and may have been being pulled down by its own weight, which was oddly heavy, despite its fluidity. It is indeed quite a strange fabric - as I wrote in my original post, it was being sold off very cheaply for dying people's hands blue. And it also smells and feels a bit swimming costumey. 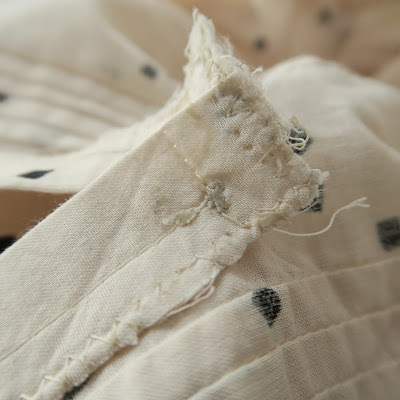 It wasn't just the gaping keyhole that made that toile unwearable. 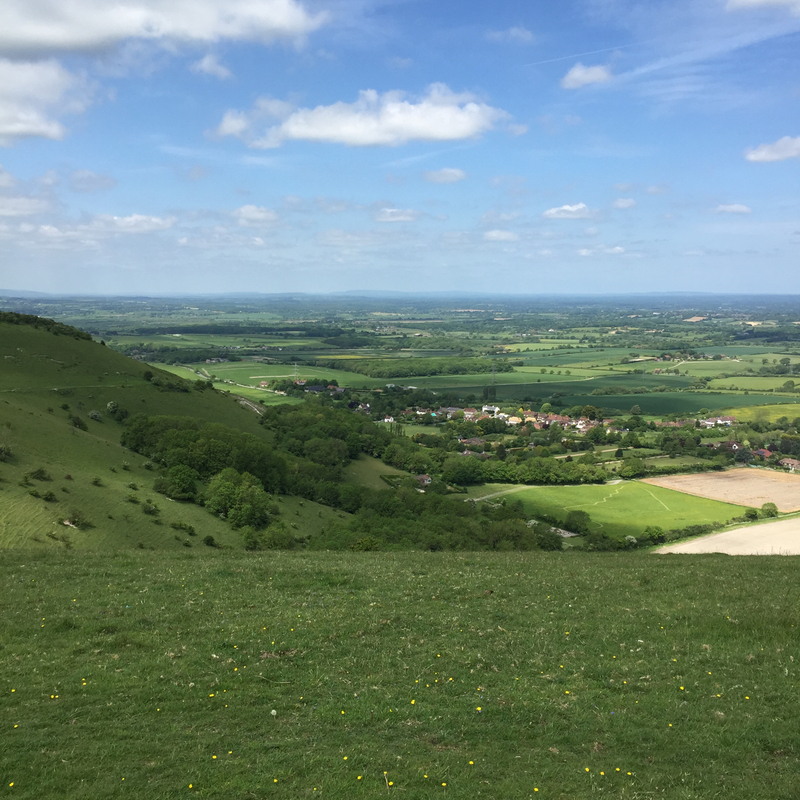 My daughter took a few photos at the weekend - this one made me laugh when I saw it - she was attempting to use a camera angle to make me look taller... I think she was successful in her mission. And here's another, accessorised by golden retrievers, only one of them mine! 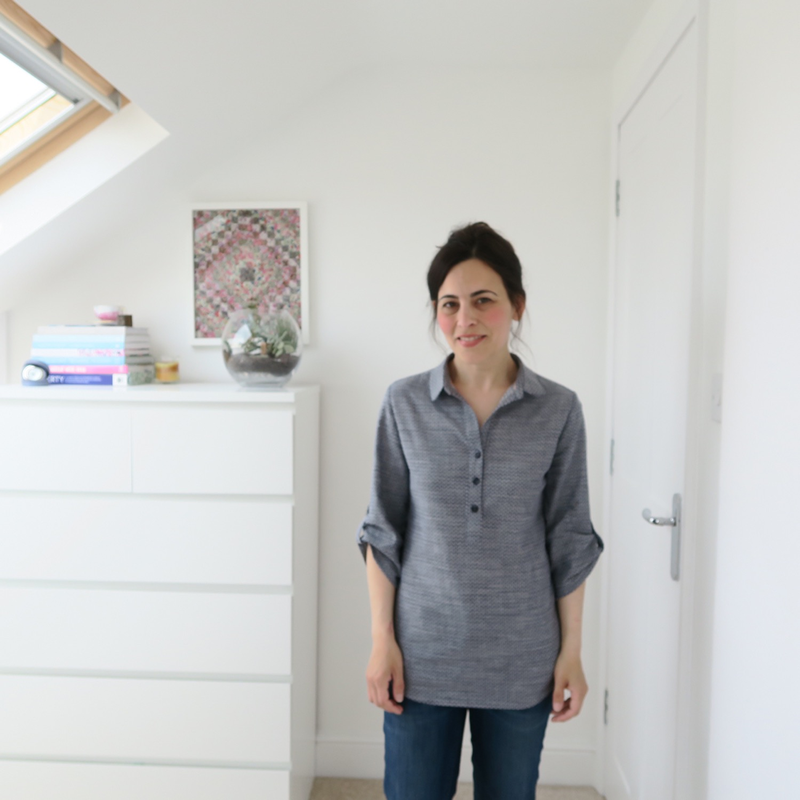 I'm not sure that this print is still available in the UK, but Annie now has other Art Gallery Fabric knits in stock of an identical weight and drape - if you're interested, it's a very stable knit to sew with. However, I'm still hankering after a dress that resembles the blue swimming costume dress! 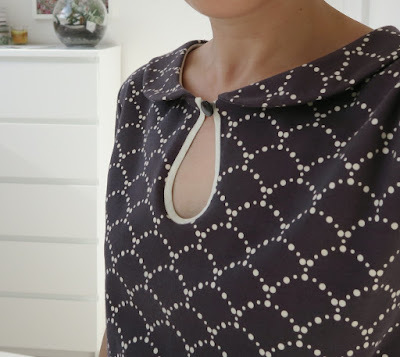 I'm considering remaking it in a bamboo jersey, which is super drapey, but which has the disadvantage of being slightly more tricky to sew with and very fine - it's what I used for my Homage to Johnnie dress, below. 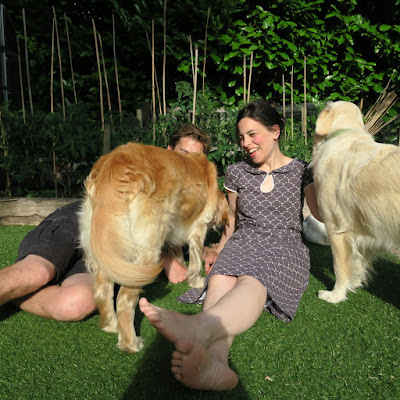 I wish bamboo jersey were just a tiny bit thicker though as it can be unflattering if you wear non-seamless underwear with it and I'd quite like dress no.4 to be suitable for sitting in the garden with dogs, rather than going to weddings (the former not being such a thoughtfully-chosen-underwear-occasion). If you happen to know of any interesting plain knits, I'd love to hear! My darlings, today, I offer up a cautionary tale about following your instincts and not pressing things like a wild boar when your snout is twitching alarmingly with an unusual sense of vigilance. For several months, while working on quilt-related projects, I have had a sense that my iron may be overheating and working as a lone agent, blithely disregarding any heat settings that I tried to impress upon it. At times, I had been surprised by how sharply something had been pressed; by the slightly piquant scent that a fabric had produced under its soleplate; or by the brief untouchable heat of some cotton directly after pressing, in my normally asbestos-proof hands. But, for some reason, I chose to remain blind to the extent of my iron's independent spirit, because that would mean buying a new one. Or using the general household iron for my sewing, which is all the way downstairs and which has never come into contact with fusible interfacing or Bondaweb, and so is pristine. However, right at the start of my most recent dressmaking marathon (which has now come to a halt due to work commitments, but as I was so briefly prolific, I still have many garments to show you that were made during that stint), I made the unfinished top which appears at the top of this post, at which point I was made more fully aware of my iron's behaviour. 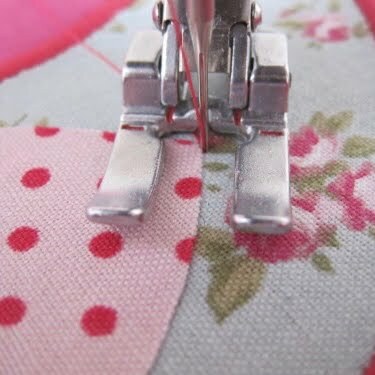 Whilst for machine quilting, I use cotton thread, for dressmaking, I favour polyester thread, as it's stronger and more willing to give a little under the strain of one throwing impromptu body shapes...or just reaching for a packet of pasta from a high shelf. 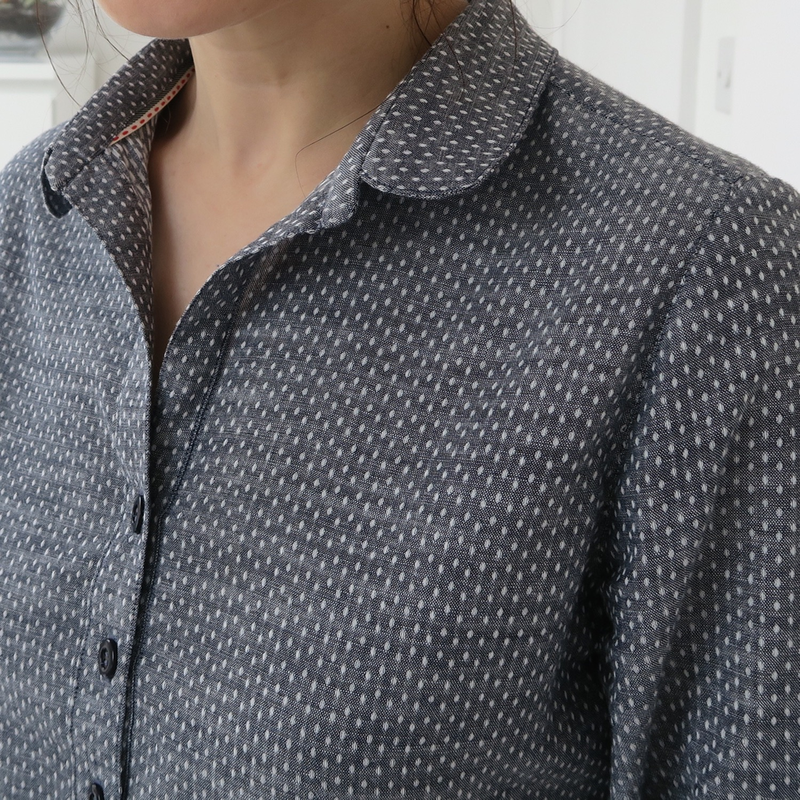 When I had sewn the pin tucks on this shirt, not wanting to erase my heat-sensitive markings for the placket, I had finger-pressed them into place, before constructing the placket. Placket completed, I had given it a firm pressing, before continuing on with installing the sleeves. 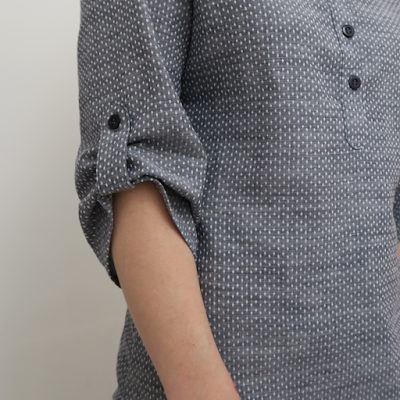 However, just before sewing the binding to the cuffs and neck, I decided to try the garment on. I am, admittedly, often label-intolerant, but even for me, I was surprised to be feeling so princess-and-the-pea about what had appeared to be a simple, soft cotton when handled. 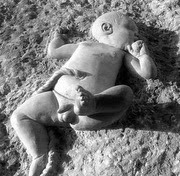 While it feels inappropriate to even type this word, I think it's necessary to convey the full extent of my discomfort. There was chafing. 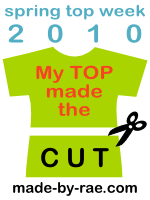 It felt like a plain cotton top constructed by own hand was inexplicably chafing and scratching my chest. With claws. And I had no idea why. Even more shockingly, as I took it back off over my head, I could hear the unmistakable sound of stitches splitting. When I turned the top wrong-side-out to look at what the source of the abrading might be, I saw what you can see in the photo above. For a moment, I couldn't understand quite what had happened, but let's walk through the molten devastation that my iron had left behind on the shirt placket. 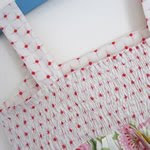 If you look at the raw edges, you'll see that where there were once fully-formed zig-zag stitches*, there are now just the broken traces of stitches that have been sizzled away. 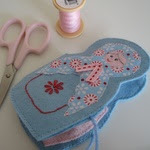 Where stitches had once been neatly locked in place with some careful backwards and forwardsing, there now sits unsightly baubles of smelted polyester. Threads hang loose, where stitches have split. 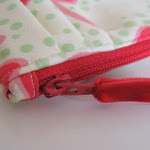 To touch, the remaining stitches are more like brittle staples, than a soft, fine thread. There is devastation inside this top. I never really believed people when they said that polyester thread can melt at high temperatures. 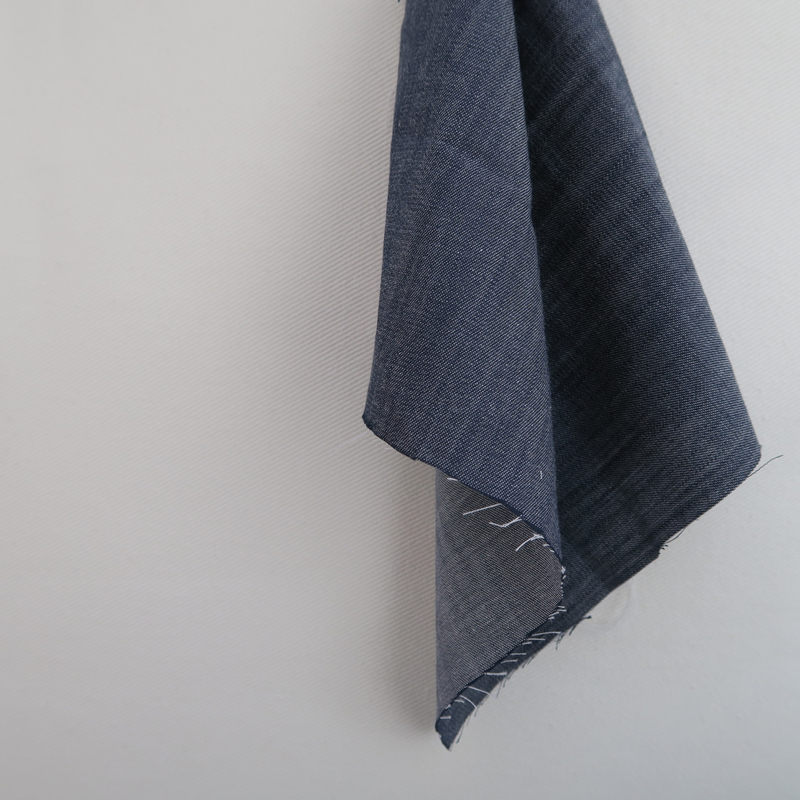 I have spent a lifetime ironing both handmade and shop bought clothing with wild-boar-enthusiasm (to be clear though, because this does need clarifying when making such a statement: I have never pressed creases in my jeans) and nothing has ever come close to melting. But I see now that I was wrong to be so carefree. With an iron that reaches extreme temperatures, all things are possible. On the positive, this top was the wrong style for this fabric: it didn't drape nicely and between bust and backside created the dreaded lampshade effect, where I really aspired to an egg-timer (of the traditional sand-filled variety). So the trauma of the over-zealous iron feels easy enough to move on from and thank goodness that it revealed its true nature during the making of a top that would ultimately have sat at the back of my wardrobe had it been completed without disintegrating. 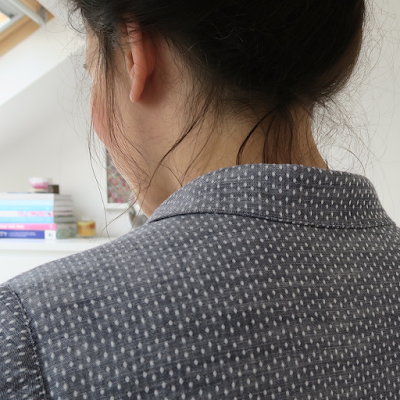 * I made the top with french seams throughout, so it felt too tiresome to drag the overlocker out of hibernation just for a placket, hence the zig-zags. I thought I'd share some of the beautiful English paper piecing that I've seen in progress (and even finished!) 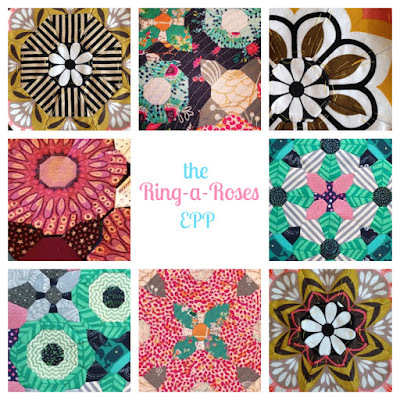 for my pattern, Ring-a-Roses. 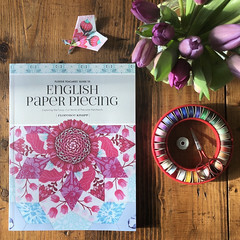 I've really enjoyed seeing these, not only because they're completely stunning, but also because when I'd written the pattern, having spent weeks working on my own version, I actually found it really hard to disconnect myself from it and re-imagine it in other prints, so it's been a real delight to see it coming to life in other ways. I adore this completed version by Jilly, known as @the_observation_station, on Instagram. 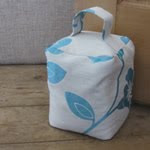 I also love Jilly's EPP pot, below, which seems a perfect colour-match! 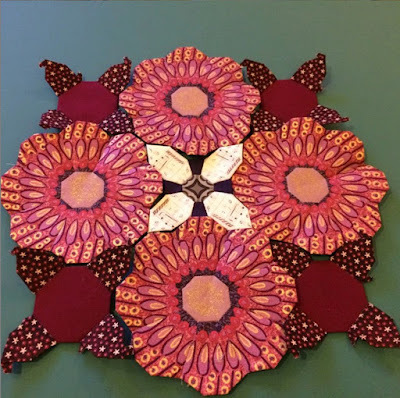 Jilly started off using a much darker central piece (you can see this below) and then suddenly opted to change it for a pink centre - I hadn't seen that it was a problem until she did this, but the moment I saw it with the pink, I loved it even more. 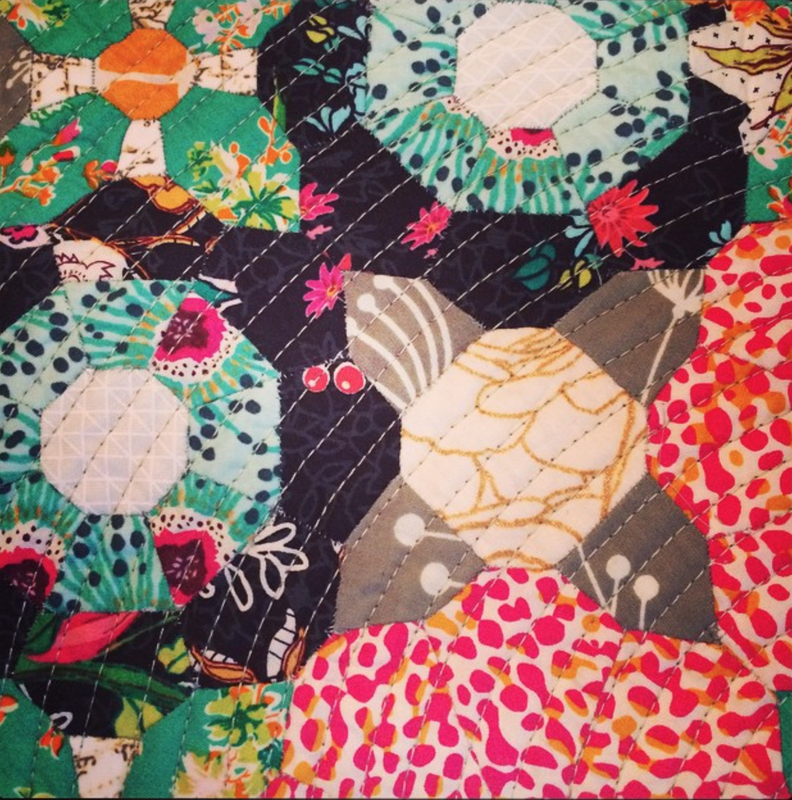 Also note the gorgeous fussy-cut whales that feature in this EPP. It's funny how the tiniest of things can provide so much 'light' within a project - when viewed from a distance, the tiny snatches of turquoise water just above the whales' heads, introduce a whole other element of colour that really lifts everything up. 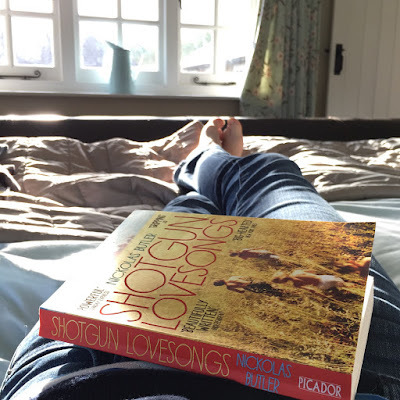 Another completed beauty, this time from @marmitemiss on Instagram. 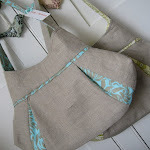 She used Katy's (from I'm a Ginger Monkey) Priory Square fabric. I love the pops of black in this one. 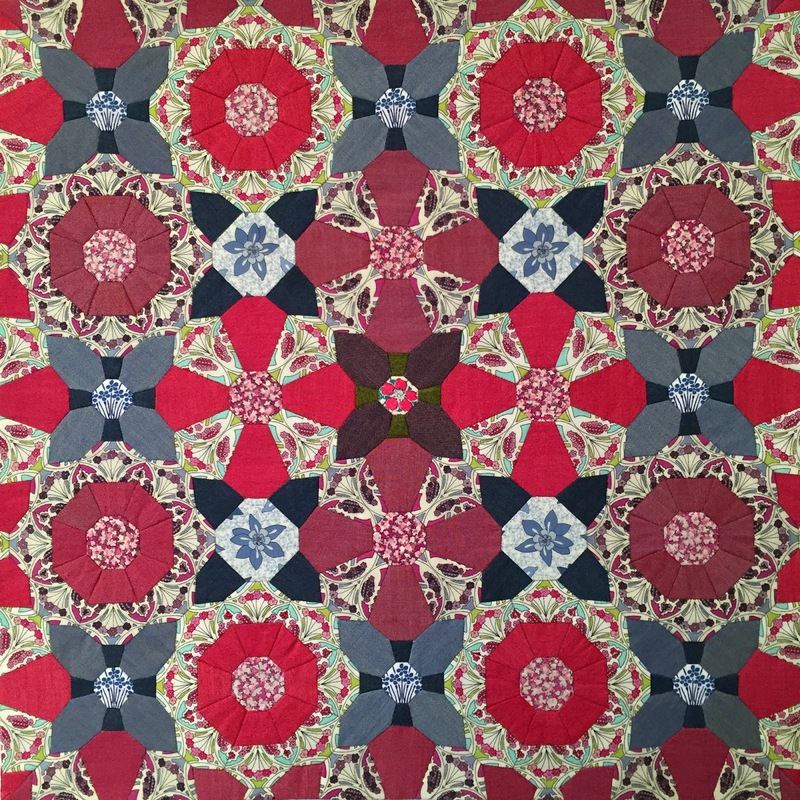 Although particular fabrics have been repeated on specific pieces, this Ring-a-Roses isn't fussy-cut to showcase a certain part of the print repeatedly - I really enjoyed seeing how the pieces connected to one another without the visual link that fussy cutting often provides and was delighted that repeated fabric use alone creates a kaleidoscopic effect just as effectively. I love it. 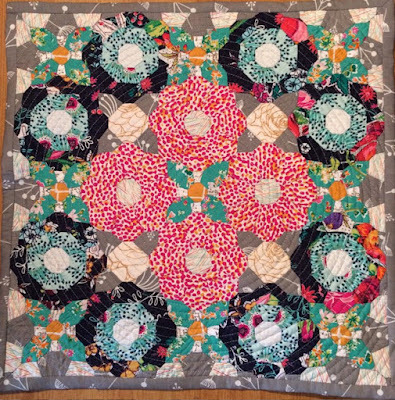 @AggieG2 on Instagram, is still part-way through constructing her Ring-a-Roses, but I really love the fussy cutting she's done on the larger flowers. I only spotted these this morning, but they took my breath away. They're by @zedlesley, again, via Instagram. 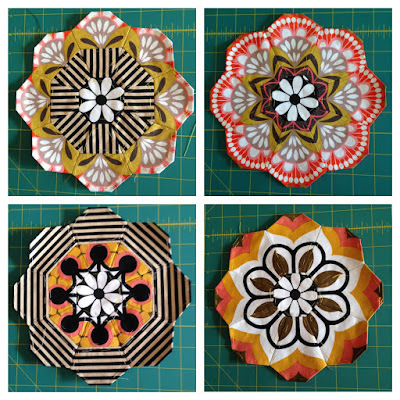 I'm not sure what fabrics Lesley has used, but the way she's fussy-cutting them gives her rosettes the most wonderful 1970s feel, that makes me think of Orla Kiely designs. I can't wait to see these coming together. 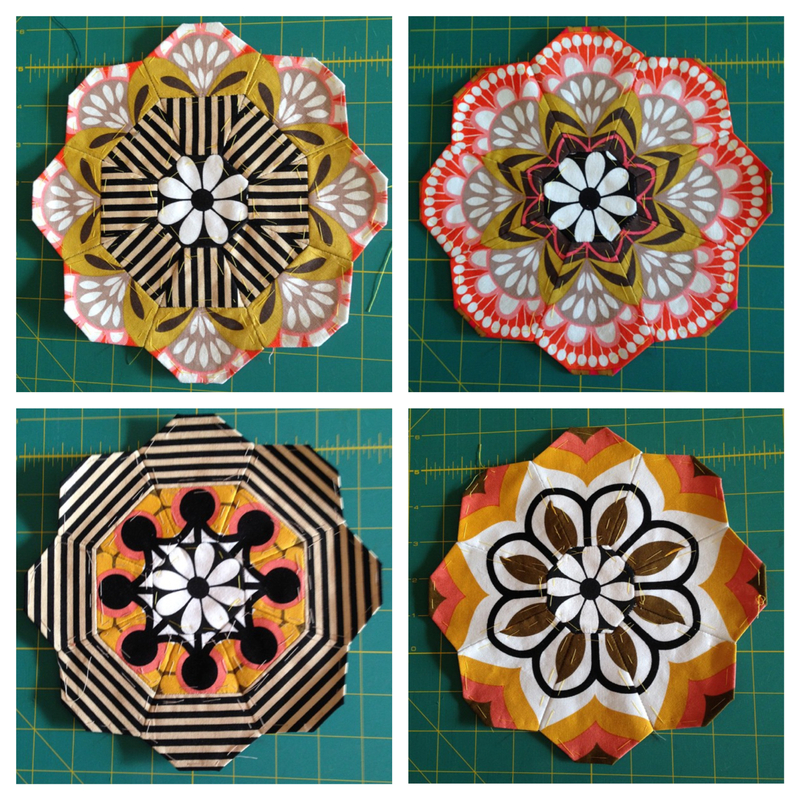 If you have any photos of your own in-progress or finished Ring-a-Roses I'd absolutely love to see - you can either email it (flossieteacakes at gmail dot com) or tag me on Instagram or Twitter. 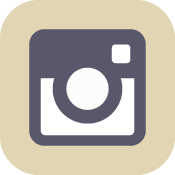 Instagram has a habit of only showing the last fifty or so interactions and if I don't check in regularly, it can occasionally mean I end up missing something that someone's @-ed me in because of this! 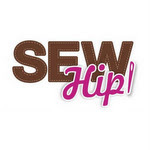 If you've @-ed me with something you've made from one of my patterns and you don't get a response, it will be because I haven't seen it, so please do feel free to tag me again! Or hashtag it with #flossieteacakes and then it will be tagged permanently, so I'll definitely see it at some point. 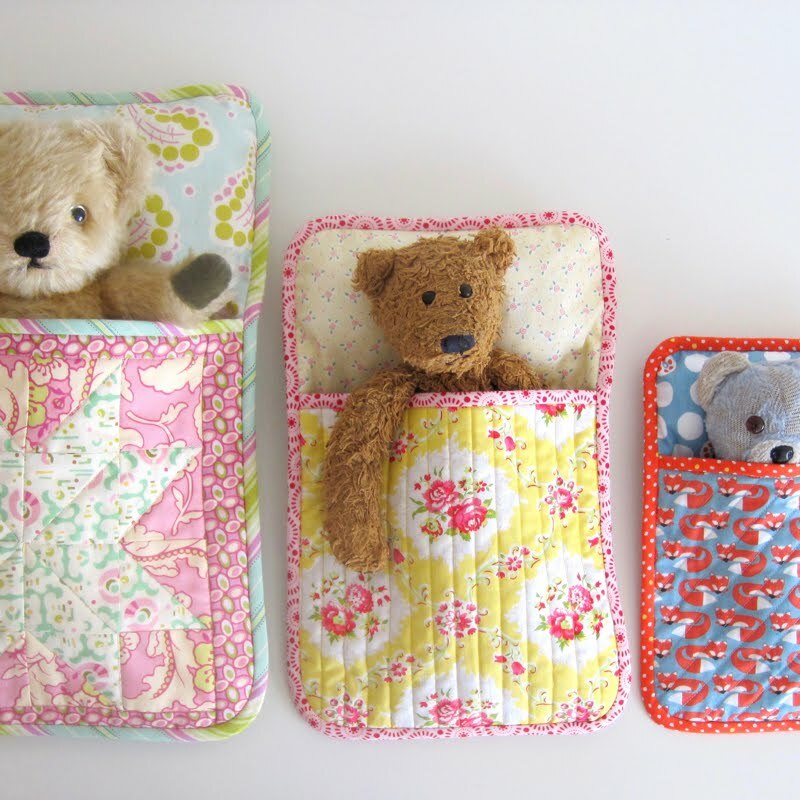 I thought I'd do a round-up of makes using the Three Bears' Sleeping Bag Pattern soon too, as they will look utterly adorable all lined up with creatures in them in one big collage. 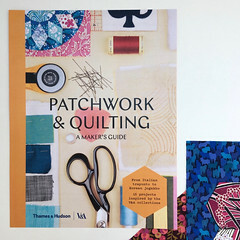 If you've made one, I'd love to see, so please do get in touch. 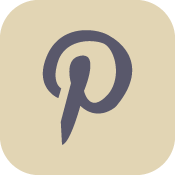 Thank you for all your enthusiasm for a post about dressmaking fabrics in the comments to my last post. 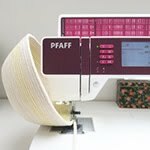 A few people asked me to go into as much detail as possible as, like me, you buy your fabrics online, where it's often difficult to get a proper sense of weight, drape and opacity, so with only the smallest encouragement needed, what follows is a quite ridiculously geeky analysis of the merits of each fabric! Enjoy. 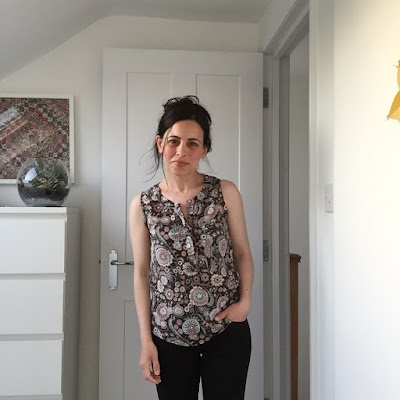 I should preface this post by saying that I'm obsessive about drape because I believe that this is the key to making flattering clothes that make me feel happy when I wear them, rather than like a miserable dumpling, which is what a poorly chosen piece of cloth can do to me. So these are the things that will run through my mental checklist when I'm considering a fabric now: Will it hold the shape if the garment is more structured? 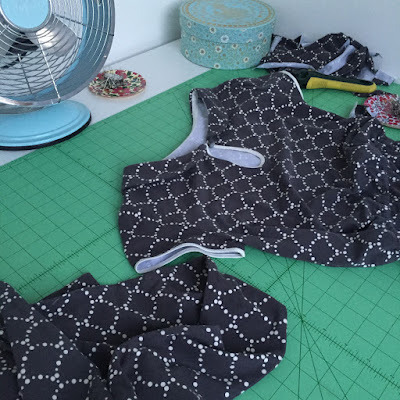 Will it skim, rather than cling to, the more lumpy areas if it's a more flowing fabric? Will it stand proud like a pelmet lampshade between my widest points of bust and bottom, rather than following the curve into the small of my back? I also consider opacity too, as there are varying levels of translucency, the acceptability of which depends upon the garment and also the wearer's willingness to be revealed! So here, my questions are: Will this show my tummy button (arg! 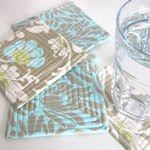 Transparency is never a quality that I'm enamoured with in a fabric)? Will this show my bra? Will this show my silhouette even when there's no sun? Will this show my silhouette when there is sun? Will I feel well-covered on a day when I'm feeling like I'd rather not have even the merest hint of the contours of my stomach visible? 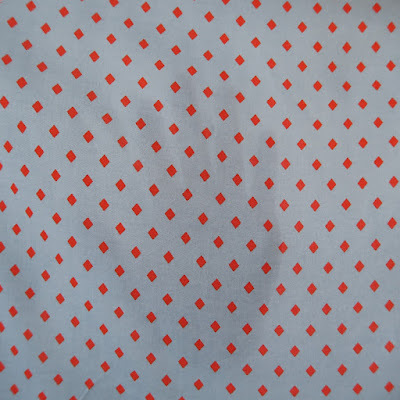 Could I use this for a pattern that features pleats or gathering to make it less revealing? Could I interline this fabric with something of a similar weight and drape to make it more modest? 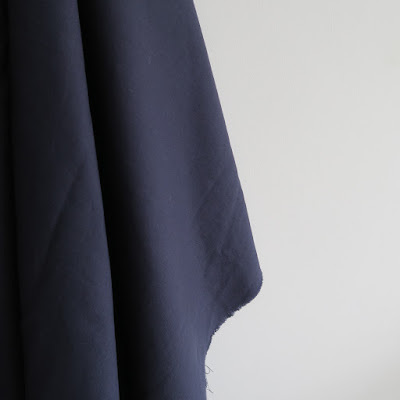 While it's not really possible for a fabric to have an intrinsic 'poor drape', it's possible for it to drape poorly for your intended style of clothing, so I'll try to share as much information as I can about what styles I think each fabric may suit. 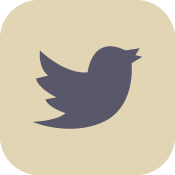 Please remember that these are my own, very subjective, thoughts and that others may have different opinions as to suitability, so it may be worth reading around before purchasing anything. 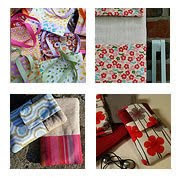 If you've used any of these fabrics yourself, please do leave comments with your own thoughts or even links to what you've made. I think we all like seeing as many sample garments as possible before committing to buy. Let's begin. 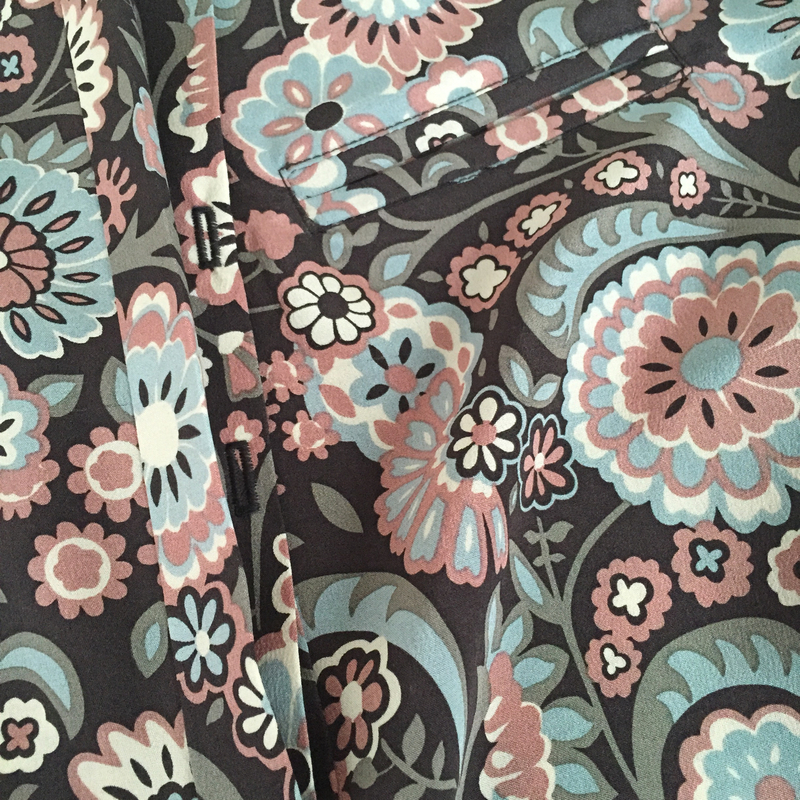 These two prints are both from Cotton & Steel's new range of rayon fabrics, going under the collection name of Frock. They are utterly dreamy and tick all the right boxes on so many levels: they have the most incredible, flowing drape; they feel like cotton sateen, but without the sometimes nasty sheen and slipperiness; they come in wearable prints that won't make you look like you're wearing a quilt; and they are opaque enough to avoid a sunlit body silhouette and will gracefully skim over any lumps and bumps. When you hold it up and move it, Frock rayon undulates and billows in the most wonderful way: there is life in this fabric. 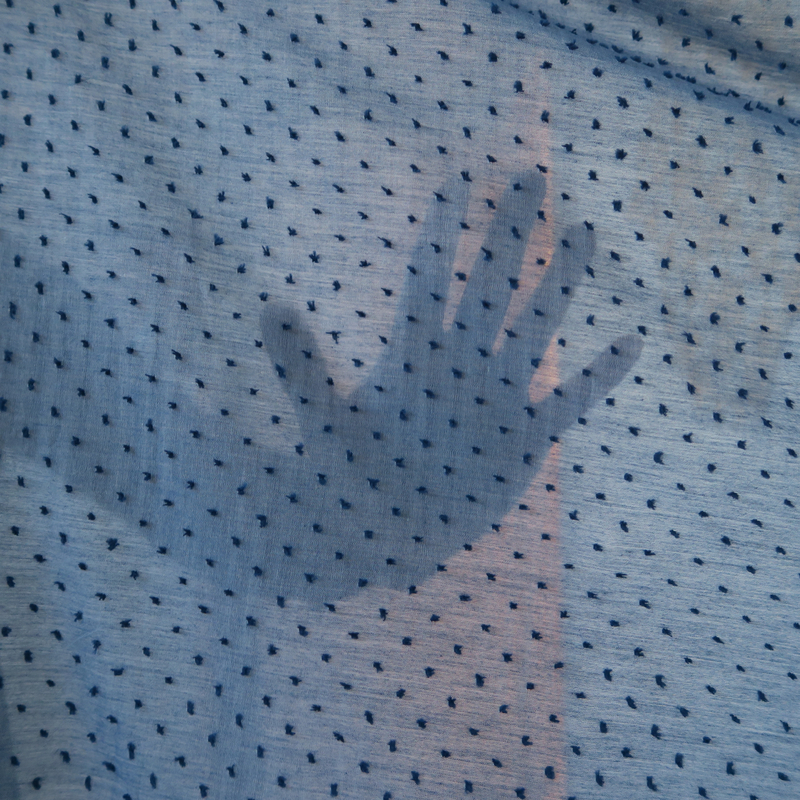 Bearing in mind that most fabrics will show some light when held up, this is the barely perceptible outline of my hand when held up behind the fabric, below - this seems like a nicely opaque fabric to me. However, what feels almost completely opaque in top half of the body terms, may not feel quite so modest in dress terms and, as I'm yet to make a dress from this, I don't feel entirely confident saying that you could definitely make an unlined dress from it. But if I was to, I'd make a Miz Mozelle dress from it as the drape would suit this style so well. 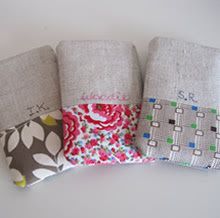 In the UK you can find these prints at M is for Make or the The Village Haberdashery. In the US, you can find them at Hawthorne Threads. 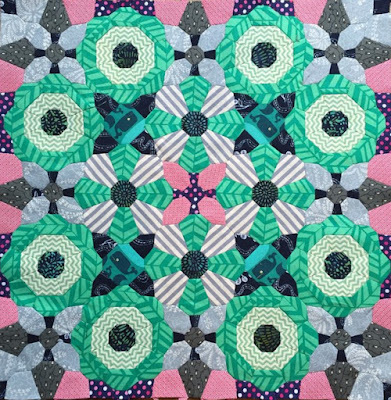 I have always been a big fan of Heather Bailey's designs and she's recently produced a line of rayon fabrics (and a few voiles too) for FreeSpririt, entitled Momentum. 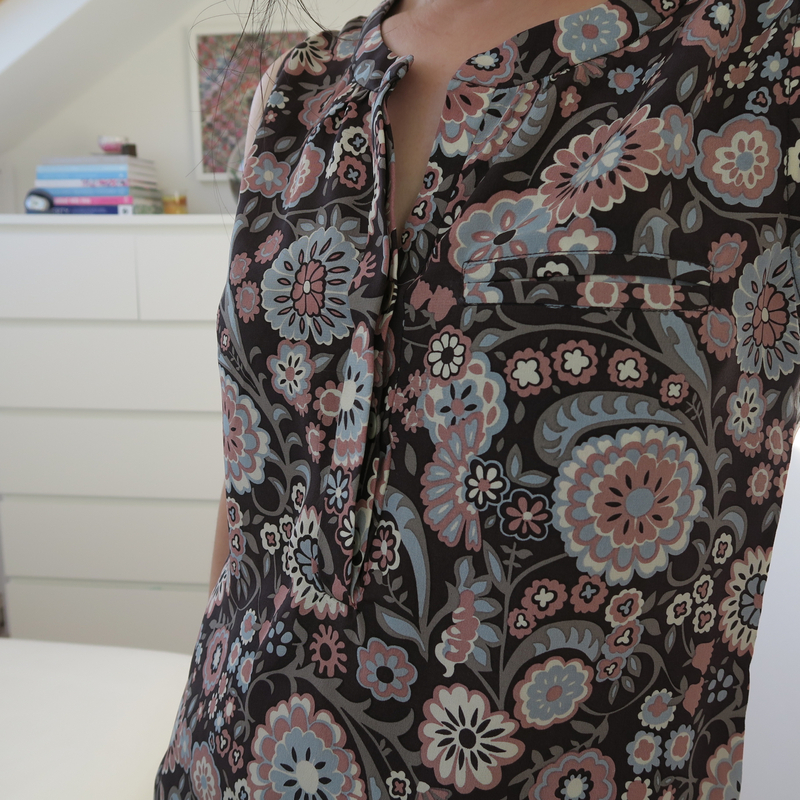 This is a shirt that I made in one of the rayon prints, below (I'll do a full post on the actual shirt at a later date). 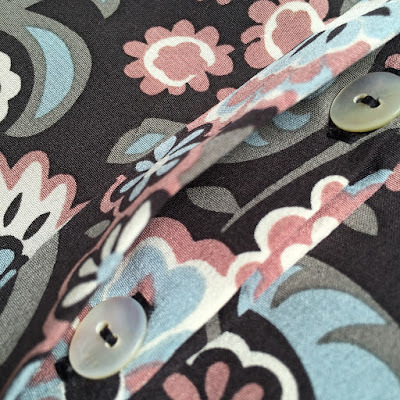 It's a really glorious fabric - I have craved a material that will produce a button placket that flops casually, rather than standing to attention like a regimental soldier and this shirt demonstrates that rayon has this ability. It shares all the qualities of the Cotton & Steel rayon, although the Freespirit designs look to have been printed on a white rayon base cloth, which means that if the neckline drapes open, or if a sleeve is rolled up (as you can just on the edge of this photo), then it can mean that you get a bit of this white reverse side showing. I personally don't have a massive problem with this and I'd happily buy more prints from the range, but it's something to be aware of when thinking about what pattern you'd use it with. I bought the last 95cm that Clothkits had, thinking they were the only UK stockist, but I've since seen that Fancy Moon also stock many of the prints from the collection. In the US, you can find them at Hawthorne Threads. Next, this glorious swiss dot (although I've always thought of something with raised tufts as a 'dobby'), which comes in this blue and also a greyish black. This is really perfect for a light summer top and has a lovely softness to it. The drape is good (although obviously not as flowing as a rayon), in part because it's so thin. In terms of opacity, again, I've photographed it with an artificial light source a few metres away, out on the landing (exactly the same set up as with the rayons) and with my hand behind it. 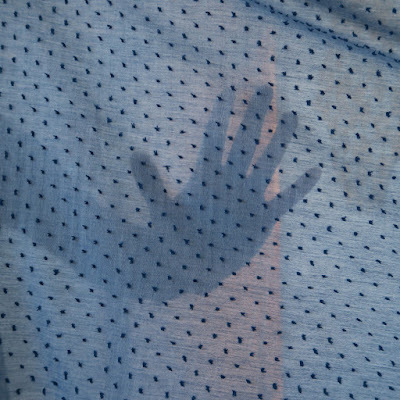 You can see that this is an incredibly sheer fabric. I think it would suit something with some pleats or gathers if you want to avoid feeling entirely naked. For reference, I recently made a top (similar to this top which I made years ago) in some white dobby that I had in my stash, which I don't feel entirely comfortable in - you'll note from the picture, that not only can you see the pattern on my bra, but you can also see the outline of my body and even the belt loops on my jeans! I can't tell if I'm being prudish here - I wouldn't have thought twice about this a few years ago, so I'm not entirely sure why I mind about it now - but whatever, it feels like it doesn't offer quite enough coverage. I bought this white dobby locally several years ago, but I notice that Annie has something similar in stock that may or may not be slightly thicker. I imagine that this blue Swiss Dot may well be easier to wear because it's a darker fabric, however, I'd still consider interlining it (given my sudden desire for my clothing to double as a nun's habit), which worked well on this top, pictured below - you can see from the sleeve, which I didn't line, how thin the fabric was when used alone. However, it's really important to find a lining fabric that has a very similar composition and weight if you don't want to completely alter the drape of your main fabric. I used the thinnest, softest cotton I could find to interline this top - I bought it from The Cloth House, although I have no idea if they still stock it now. On to Atelier Brunette. 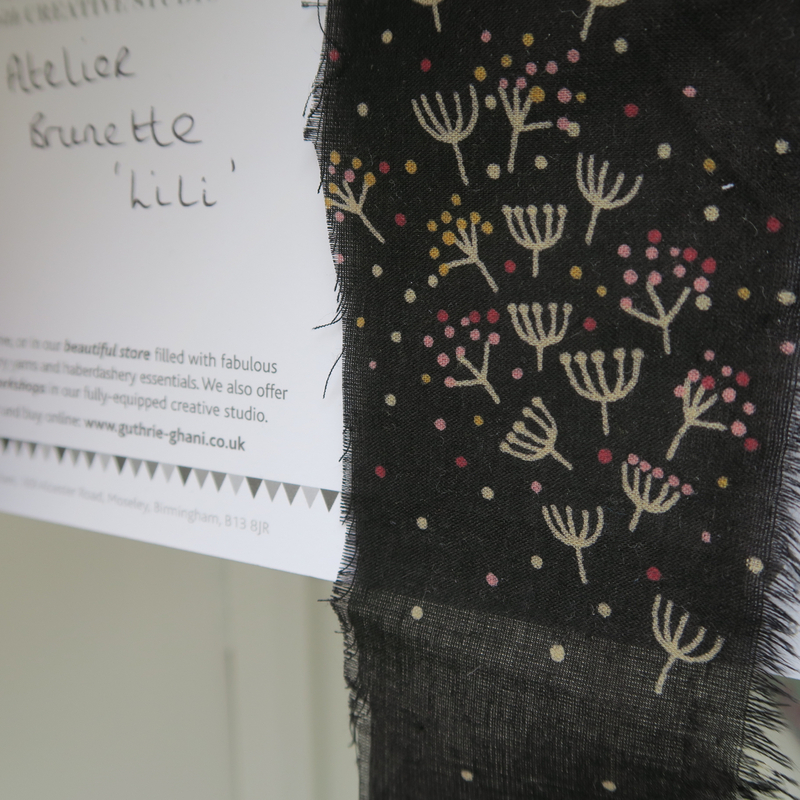 Atelier Brunette have the most incredible range of dressmaking prints. 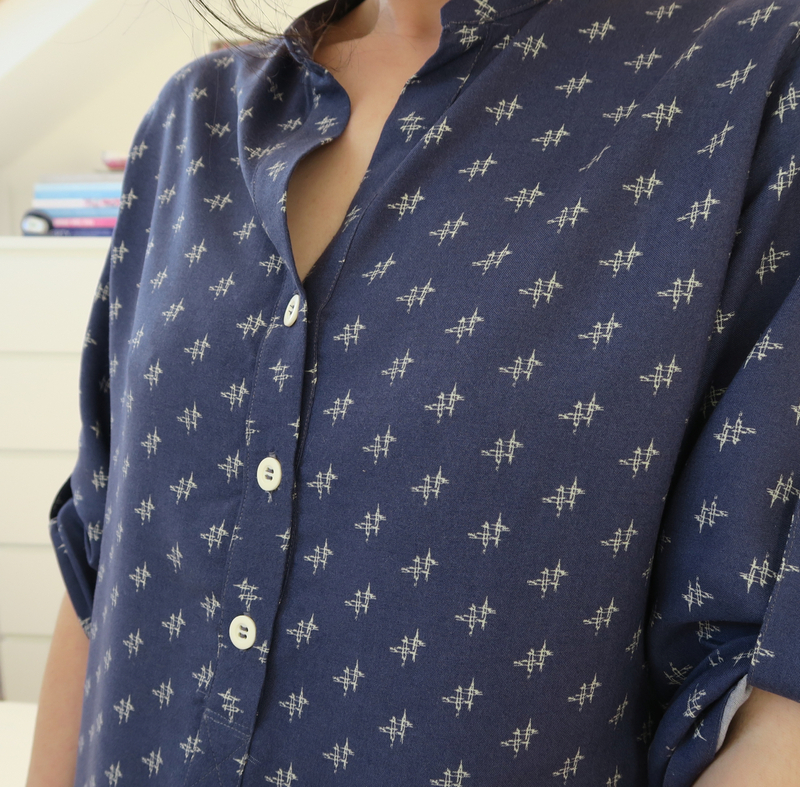 These French prints are small-scaled, subtle, chic and I want to wear practically every single one of them. When it comes to designs, in my eyes, they blow everything else out of the water. Alice stocks a fine selection of them, here. The compromise comes in the drape. I've made a couple of tops in Atelier Brunette's Cotton Cambric over the last few years and unfortunately I've always mismatched my pattern to the fabric and ended up with something fundamentally unflattering (one of which was a version of the white dobby top, above, in the cotton cambric pictured below). These fabrics, in my nit-picky opinion, aren't quite right for patterns that require any drapiness. I could share photos with you of them doing that aforementioned thing where, in profile, they stand proud like a pelmet lampshade between my widest points of bust and bottom, rather than following the curve into the small of my back, but I'm too appalled by them to put them on the internet for fear of them ending up on Pinterest outside of the context of 'I know this is hideous'. 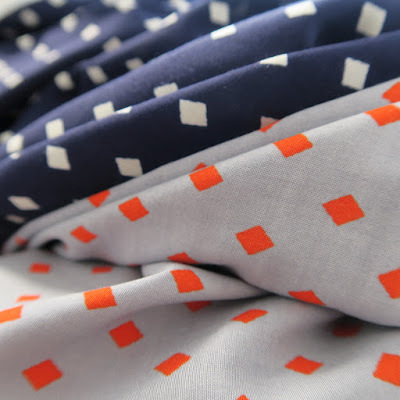 I really believe the cotton cambric fabrics need a pattern that is quite structured. 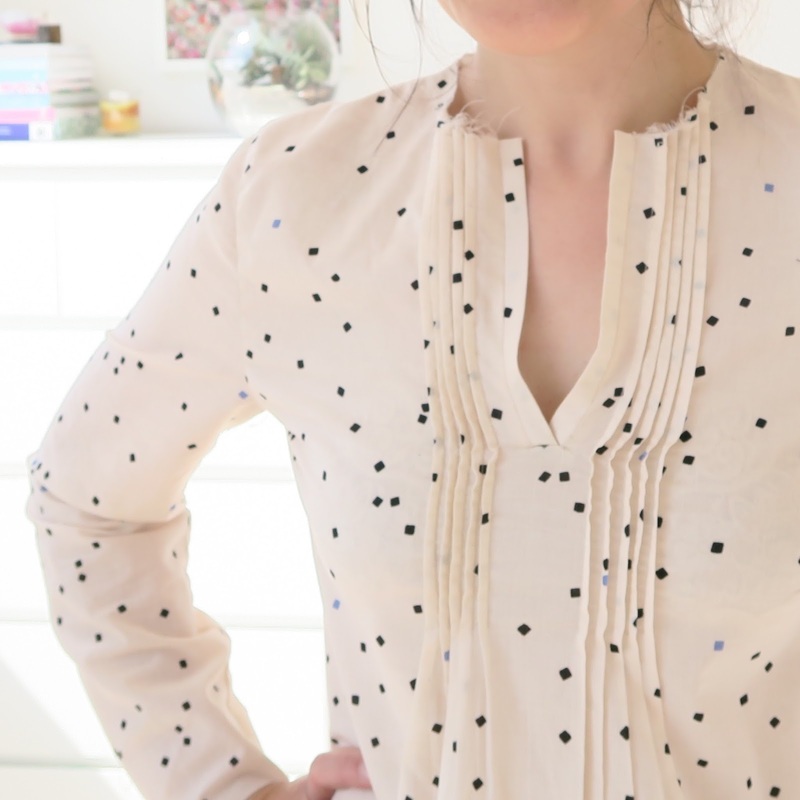 Colette's Laurel blouse (this is the pattern used for the navy blouse above) would be perfect, as it has darts at the front and back and a really neat, fitted shape. However, Guthrie & Ghani recently sent me a sample of Atelier Brunette's viscose and it couldn't be more different in terms of drape. This is the finest, silkiest, deliciously drapey little sample of perfection that you see below. I would love a top made from this. It is very, very thin though. 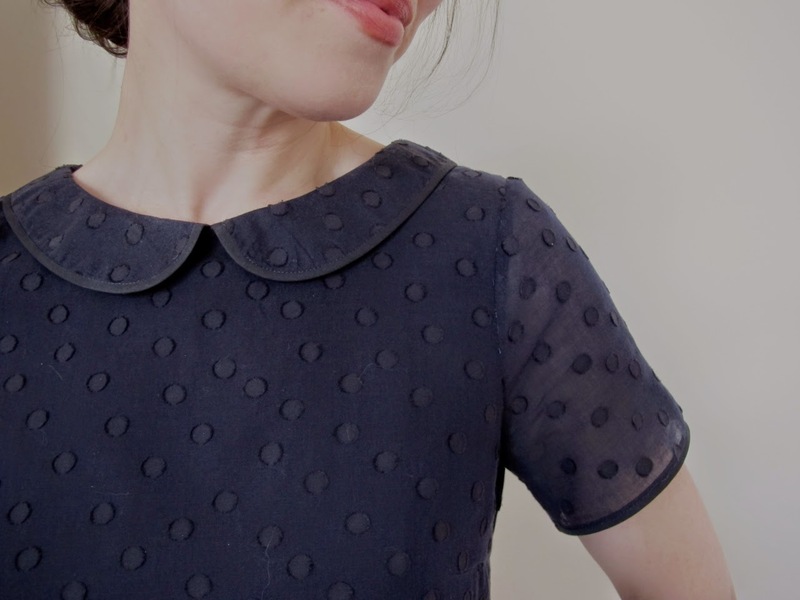 So I'm imagining it may be best worn either with a fine black camisole beneath it or lined with something incredibly thin, as I've done with the navy spotty top earlier in the post. Photos don't really do justice to how lovely the viscose fabrics are. 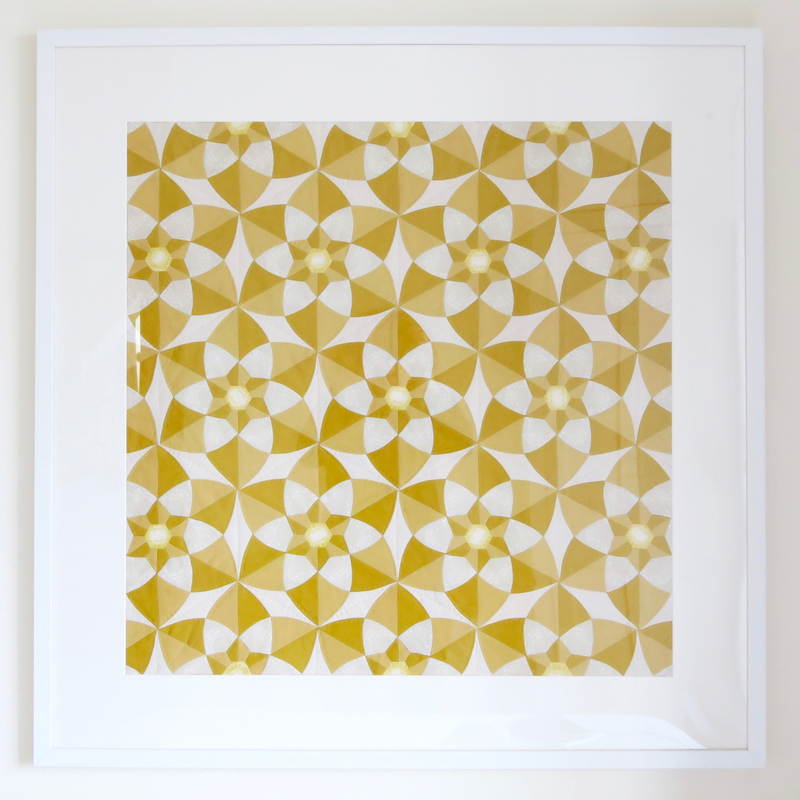 Be careful when shopping for them - some AB prints appear in a few different substrates, so double-check that you're buying the one you're intending to. 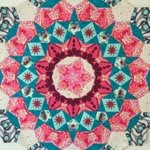 Both Guthrie and Ghani and Backstitch have several viscose prints in stock. Next, this rather unassuming-looking indigo denim chambray from Robert Kaufman's Chambray Union Collection (for those who aren't familiar with it, this collection is based mostly around blue chambray fabrics in a wide variety of weights, so each fabric is slightly different, but they seem to share a general awesomeness). I don't know how to photograph this adequately to convey quite how wonderful it is, but when I first felt it, I thought it may be the loveliest fabric that I'd ever touched. 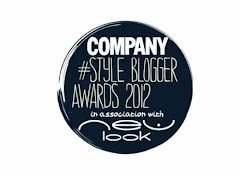 It's ridiculously soft and silky in a way that belies its utilitarian appearance and is the most perfect denim colour. 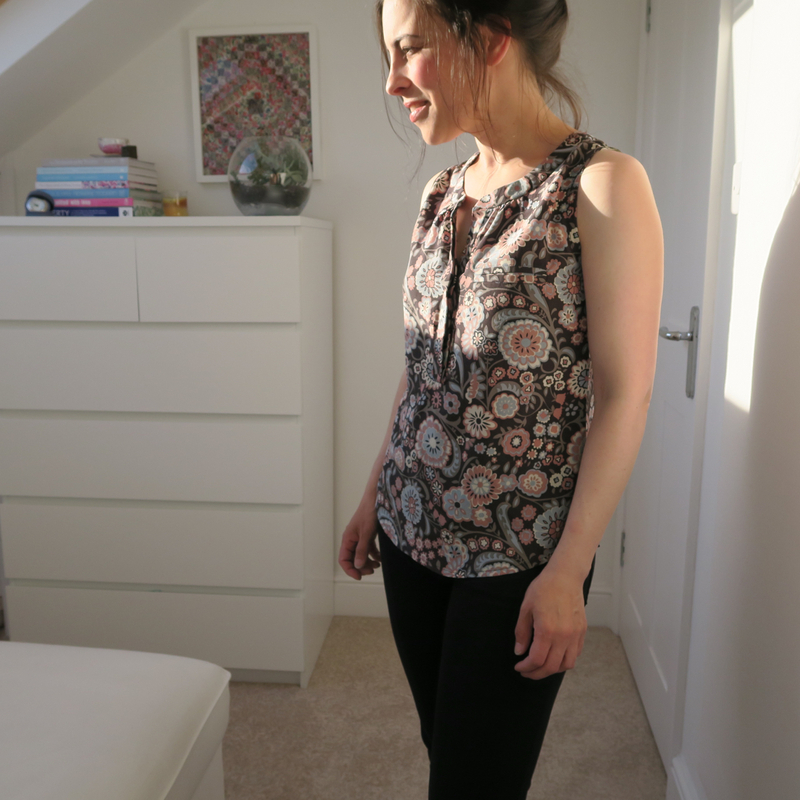 Hold it up to the light and it doesn't have the dense opacity you'd expect it to though - perfect for completely non-revealing unlined tops, but I'm yet to decide whether I'd go for an unlined skirt. 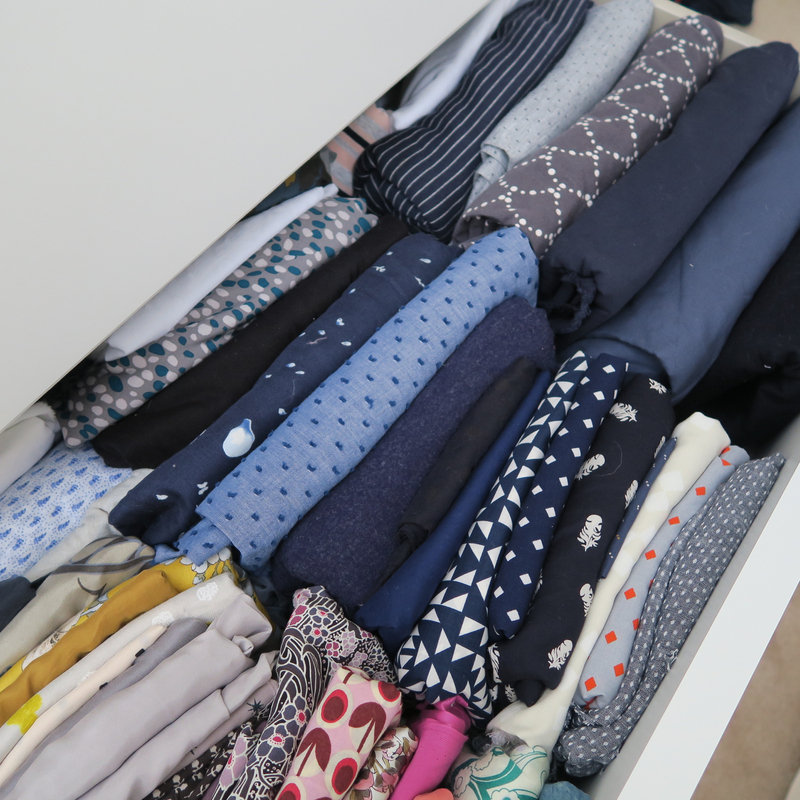 If you think that I'm paranoid about the skirt issue, you may like to revisit this post. 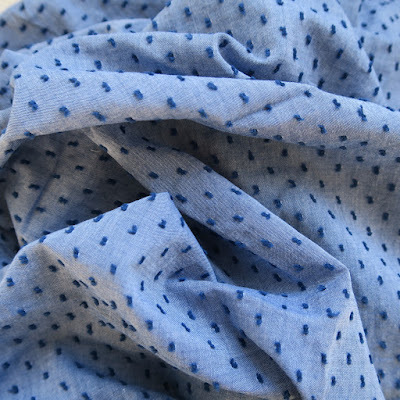 Next, Robert Kaufman's Cotton Chambray Dots in Royal. This fabric is much less drapey than many in the Chambray Union collection and although it's very soft, it has a structure that makes it totally unsuitable for drapey tops. It would be far better for light, bottom-weight items. I'm imagining that it would be perfect for something like an Emery dress where the bodice is more structured and the skirt can take a bit of body, or equally, a Laurel dress, which has a fitted shape without any flounce. I am bitterly regretting my choice of colour here, as while I would have worn the Indigo, when it arrived I realised that the Royal colour that I'd chosen is totally out of my colour comfort zone as it's very bright! The top part of the photo shows the right side of the fabric, the more subtle side is the reverse side (I guess I could use the reverse, but I'm less keen on the sheen on this side). 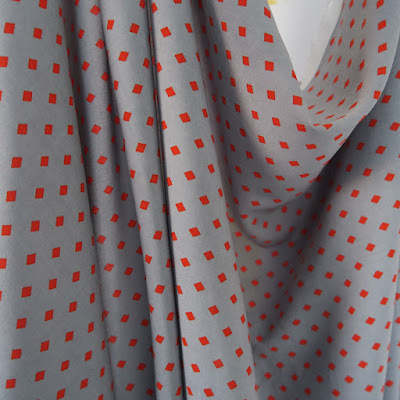 If anyone who has a more diverse range of colours that they like to wear would like two metres of this, it cost £33 new and I'll happily part with it for £25 in the UK including postage. It's been pre-washed and smells deliciously of fabric softener! I know I talked about this in my last post, but I don't want to leave it out of this round-up as it's incredibly lovely: Indigo Dot, another fine part of the Robert Kaufman Chambray Union collection. 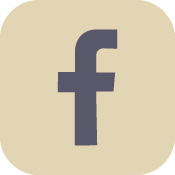 Indigo Dot is wonderfully soft. It's perfect for shirts, blouses or tank tops and I'd consider making a really gathered skirt from it, or a lined straight skirt. It's a floppy fabric, so if you're looking for something with a stiffness that will hold its shape, this isn't it. 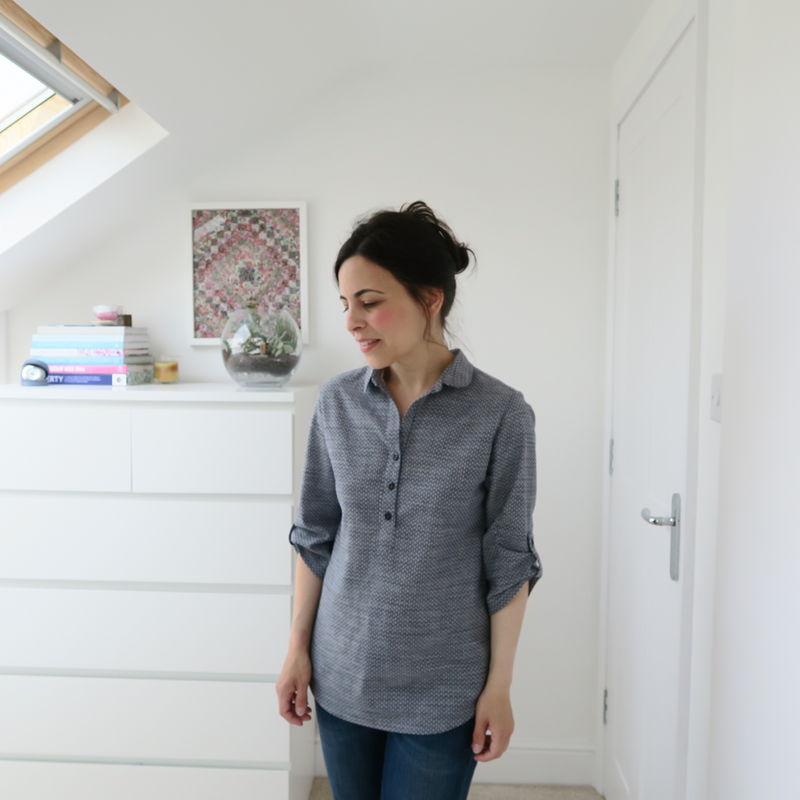 Finally, I know that some of my readers, for ethical and/or health reasons prefer to shop organic for their fabrics, so I thought I'd also tell you about some fantastic fabric that I bought a few years ago. 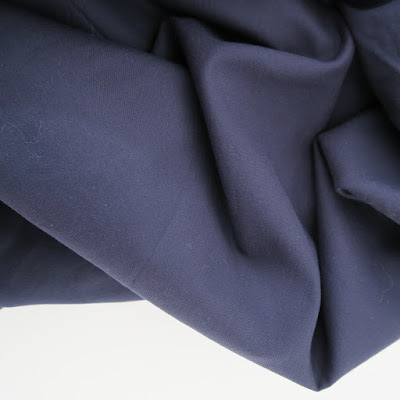 It's an organic navy cotton sateen fabric that is just pure loveliness without any of the high-sheen slipperiness that cheap sateen can have. It's almost completely matte, in fact. Because it's such a dark fabric, I'm afraid it's really hard to give you a sense of weight or drape through photos, so I'll try and describe it. It's definitely opaque enough for unlined dresses. It's incredibly soft, but it has a mid-weight to it that means it also has some substance. I'd happily make a Brumby skirt from it, but I think it may feel a bit too thin for a Moss skirt (I'm working on the basis that a straight, short skirt made in a fabric that's not substantial enough may look akin to a creased rag by the end of the day, whereas a more flared skirt would carry this fabric off perfectly). Again, I'd avoid a Laurel dress for the same reasons (although a Laurel top would be fine), but imagine that a Crepe dress or Violet blouse would work nicely. Organic Cotton Plus have impressive credentials as organic trailblazers within the US fabric and cotton farming industry, so are definitely worth looking into. 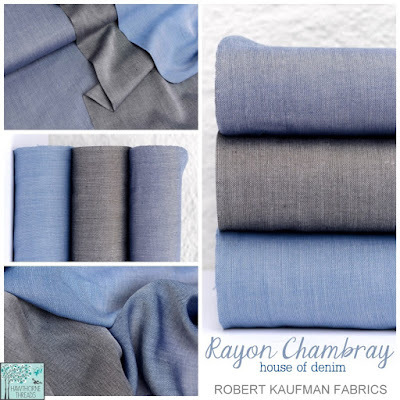 Finally, just as I was about to post this, I received a serendipitous subscriber's email from Hawthorne Threads sharing news of a rayon chambray addition to Robert Kaufman's House of Denim collection. 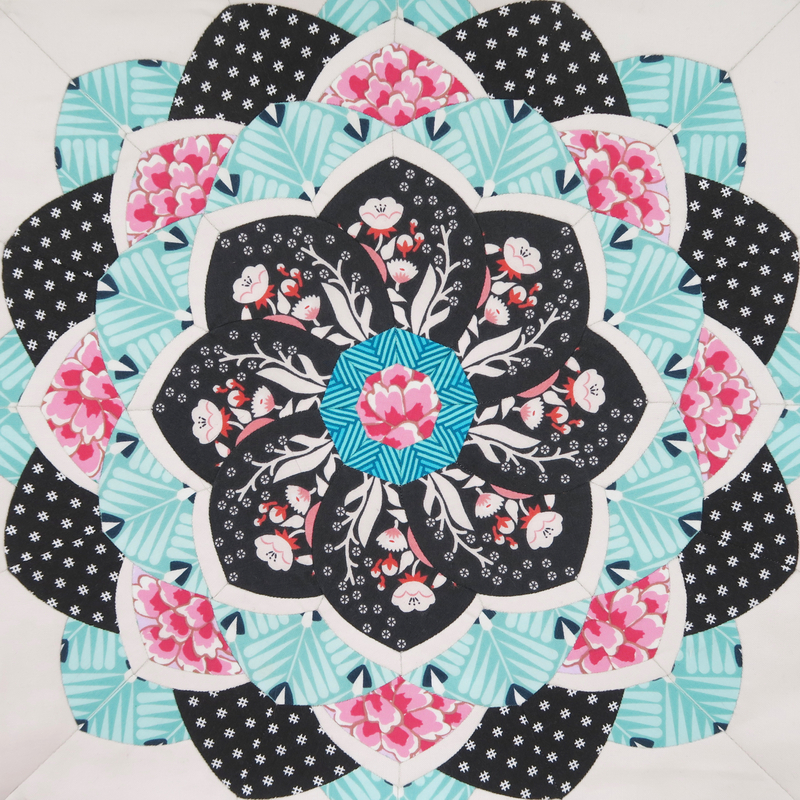 It really does feel like the world is suddenly just exploding with amazing dressmaking fabrics. 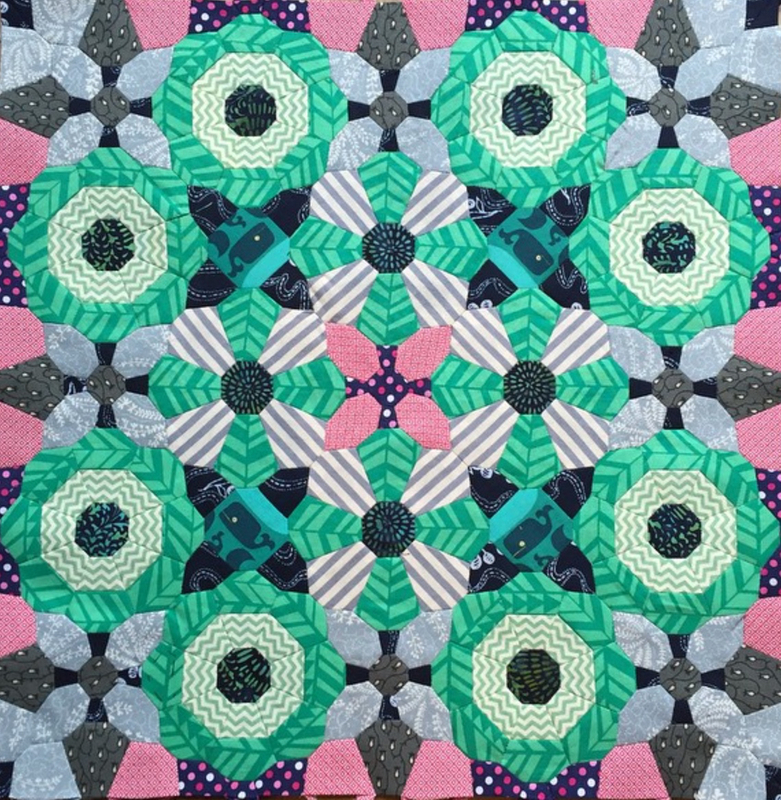 After sharing all this glorious fabric temptation, I feel compelled to also share with you the thought that I try to keep in my own head in the face of all this. It will not run out. And if this is what's appeared in just the last few months, that must mean that even more good things are bound to be on their way! 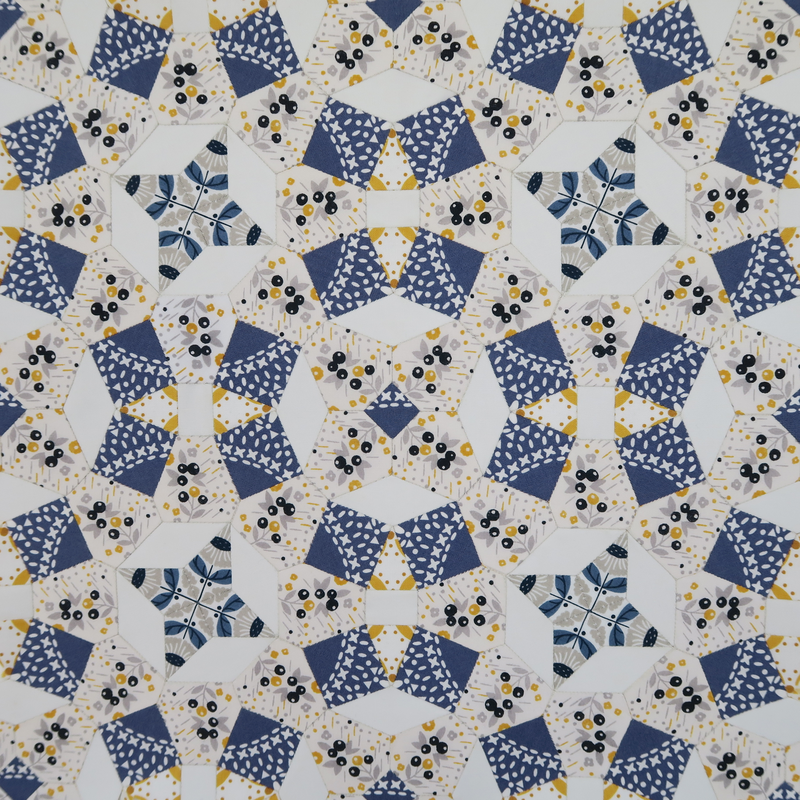 Sometimes though, after so many years of struggling to find beautiful dressmaking fabrics, it's hard to keep this at the forefront of my thoughts! 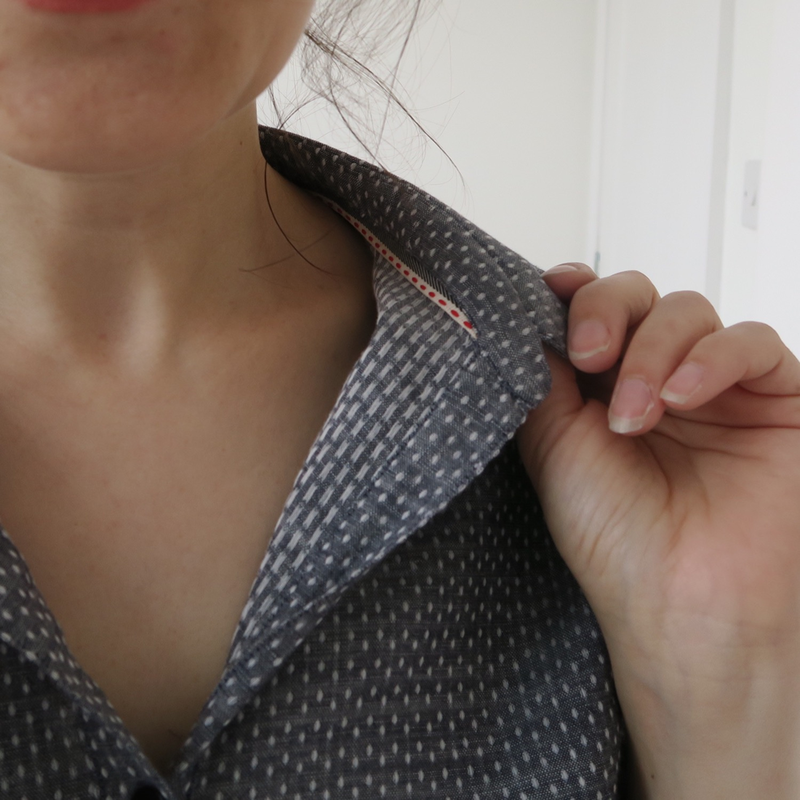 This button placket may just be my favourite thing that I've ever sewn. 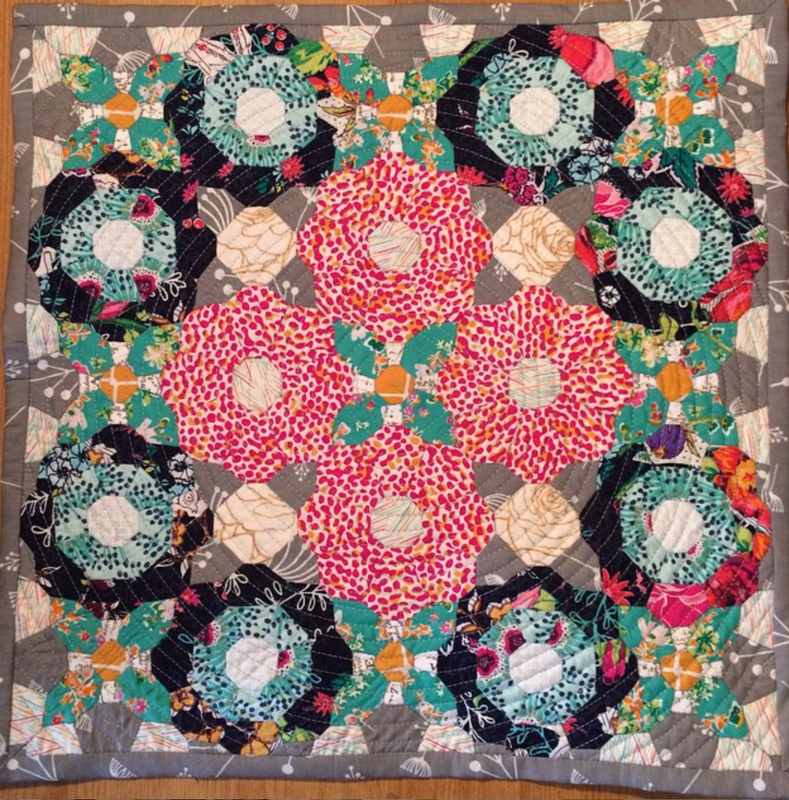 Not only did I find the construction of it - from drafting the pattern, to sewing it together - ridiculously satisfying, but there's actually nothing about it where I look at it and feel dissatisfied. That rarely happens for me. This is the shirt that it sits within. It has curved hems and those weird sleeve puller-uppers that I don't know the official name for, but which I love. I've put lots of tiny details into this shirt...like this band of ribbon where the collar stand joins the shirt. And rounded sleeve puller-upper tabs, to match the button placket. 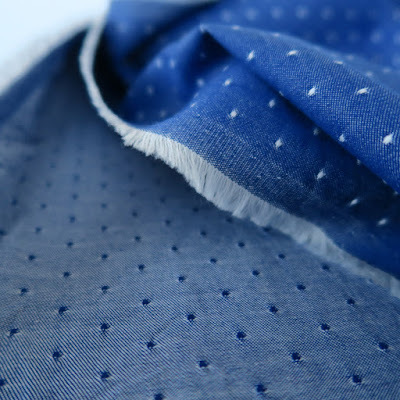 The fabric is the Indigo Dot Cotton Chambray design from Robert Kaufman's range of Chambray Union fabrics. The fabrics in the range are a variety of different weights, but all intended primarily for dressmaking, so there's a fantastic selection. The fact that they're all different does leave you feeling unclear about what the weight and drape of each fabric may be though. 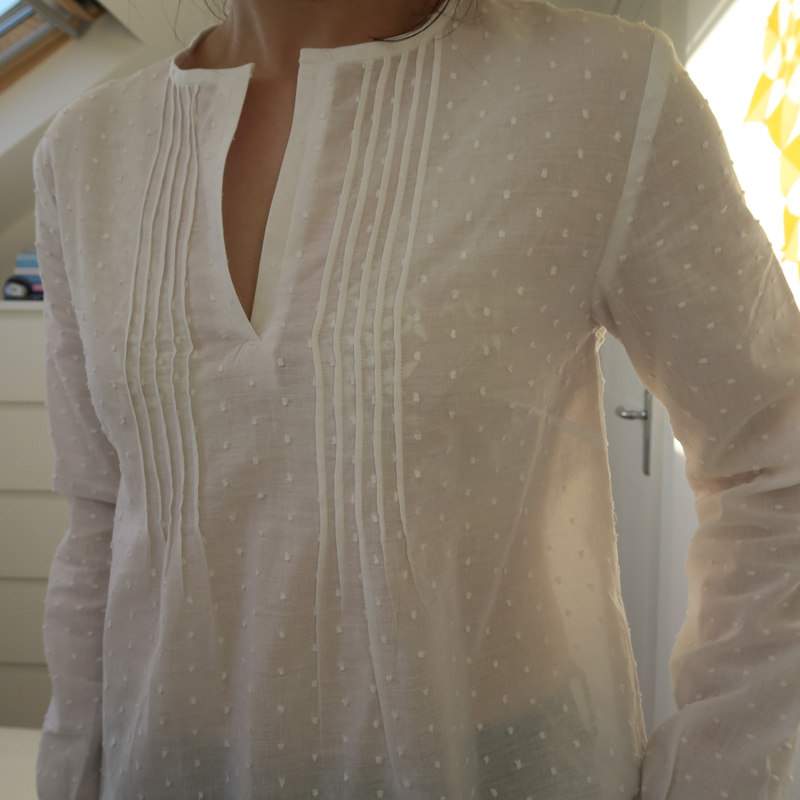 I'd seen this print appearing all over the internet, but somehow failed to comprehend quite how incredibly soft and drapey it is - it's very similar to the feel of a soft cheesecloth, but with slightly less wrinkling, and it's perfect for summer. I'm actually pretty happy with the whole shirt, but I may tweak the back of the collar next time I make it to give it a bit more rise at the back of the neck. I'm unsure what it is about this time of year, but it often seems to throw me into a month or two of extreme dressmaking, where I temporarily shun all other sewing projects in favour of it. 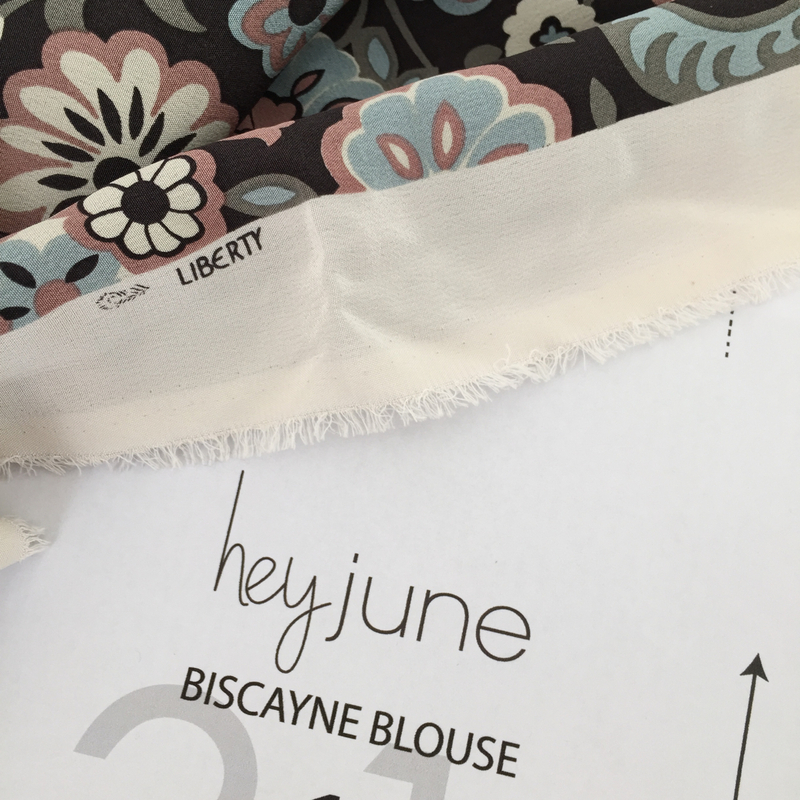 But something miraculous has happened this time around: there are finally a lot more fabrics combining a drape, weight and neutrality of print that I want to sew with. In previous years, it's taken an awful lot of work to snuffle these options out and even then there was often a compromise. 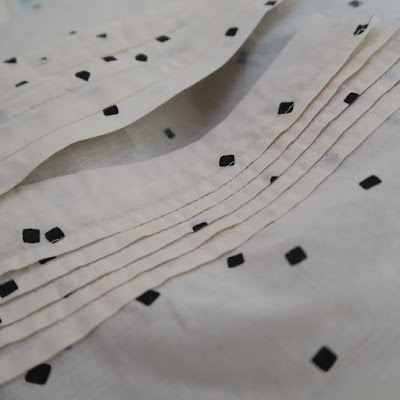 For example, voile was a very welcome initial alternative to quilting weight fabrics, but in reality, I found it a little too much on the crisp side for a lot of styles that I wanted to sew and at other times too sheer to make unlined dresses with. This year, there feels to be far less need to compromise. 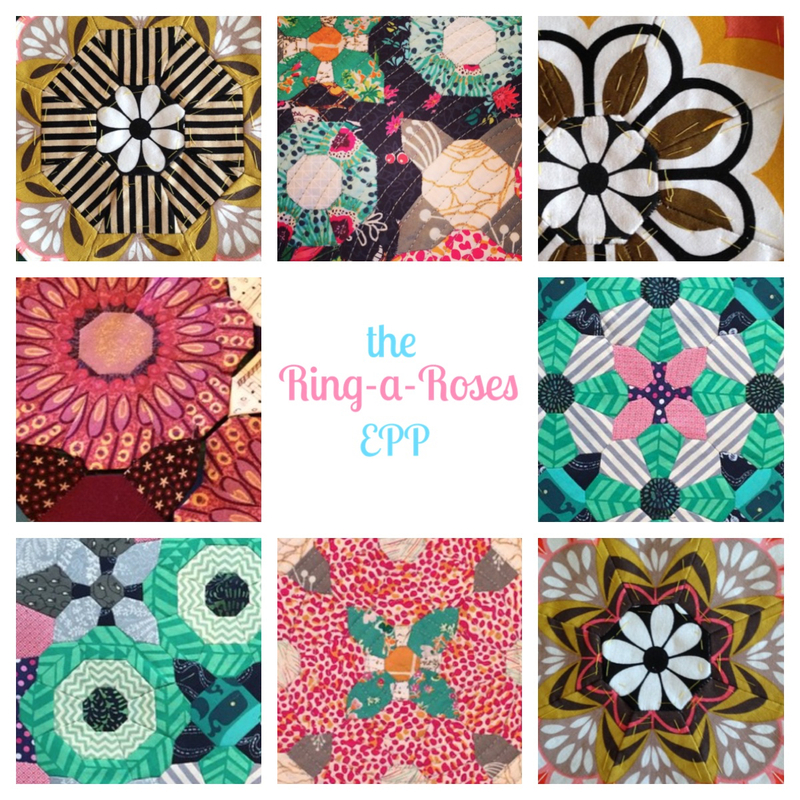 Let me know if you'd be interested in a post rounding up some of my favourite dressmaking fabrics that I've spotted recently. I listed to story podcasts from The Moth while making this. Whenever I'm working on anything that doesn't require me to concentrate on it exclusively, this is what I tend to have on at the moment. They're true stories about tiny, everyday moments or enormous, life-changing events in the lives of ordinary people, told by the people themselves onstage, live at The Moth, which is a venue that moves around the world. 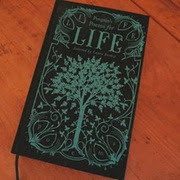 The stories are life-affirming, painful, joyful, hilarious, curious and often a combination. You can listen through their website if you're interested. 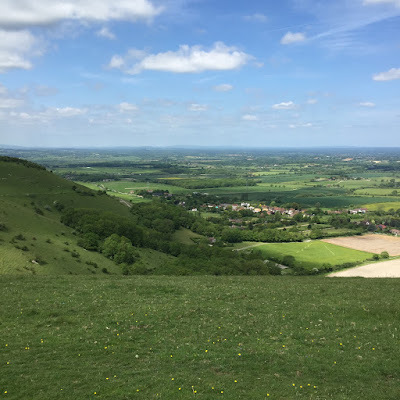 I've been thinking about what story I'd tell if I were to go to a story slam when they're next in London...and realised that I have no idea, but it's something I enjoy thinking about. It's my new version of the desert island game (what five foods/five books/five shops/five pieces of music etc etc) for when I'm waiting somewhere and have to amuse myself from within the confines of my own head. I'm enjoying sorting through my memories, even if they aren't all entirely wonderful.